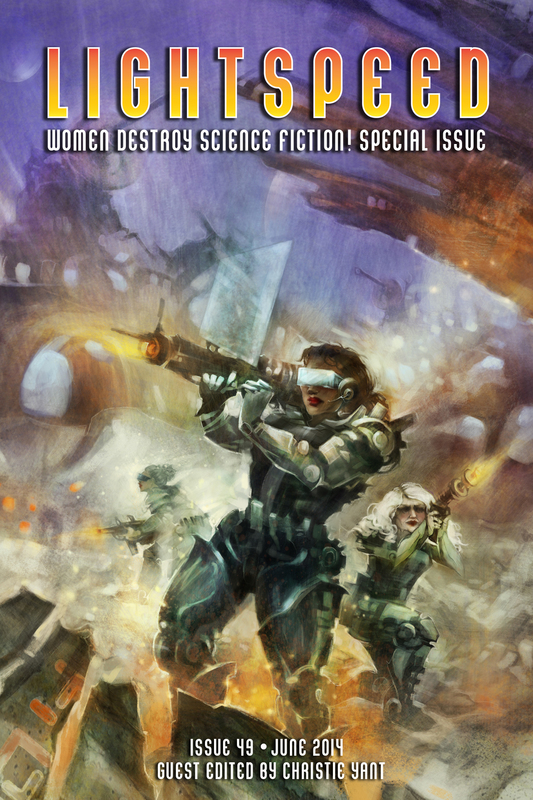 Women Destroy Science Fiction is finally here! The ebook issue is out, and you can purchase a copy for $3.99! My story will also be available online and as a podcast through Lightspeed’s website the week of June 24. I can’t tell you how excited I am about this — how incredible it is to have a story alongside so many talented writers.Wait. Yes, I can. I AM SO EXCITED! Huge thanks to the Banff Centre for giving me space to finish the story, Katey Schultz for helping me with its development and providing advice as I worked on it, Christie Yant for her thoughtful edits and unflagging good cheer, and everybody who encouraged me to write this story and others. And a huge thank you to Lightspeed for putting this issue together and its backers. Thank you. Thank you. Thank you! « The reading I’m doing for my writing. Heh. I downloaded it this morning.